Experience nature first hand on an old fashioned horse-drawn ride along a wood trail to our quaint camp nestled in the woods. Offering home cooked meals, snacks, hot choloate and bonfires. Admission is $10 each, $12 each with snacks, and $20 each with a meal. Special rates for children. 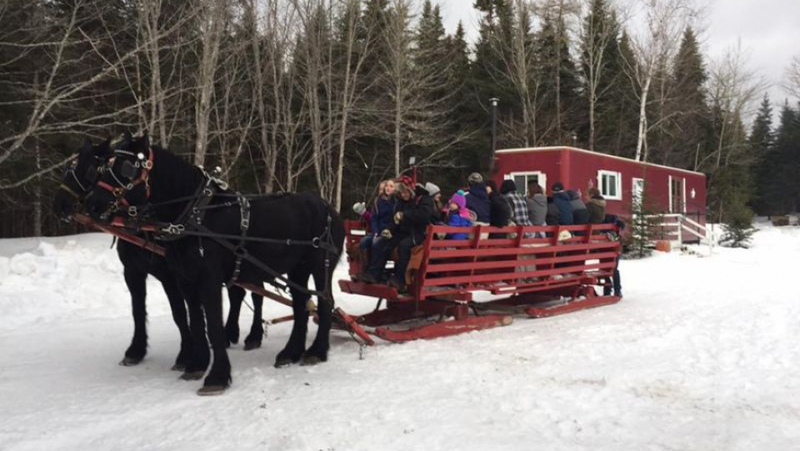 Call today and book your sleigh ride 453-7087!